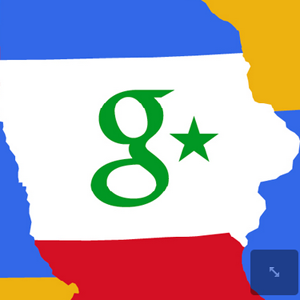 Just in time for the Iowa Caucuses, Google released this week its US election coverage website which brings together the news, opinions, videos, and other resources that you might find in a Google search on a particular presidential candidate or issue. Google contends that “there’s no question that the Internet is set to deliver more political information, opinion and news than any other medium throughout the 2012 U.S. elections”. The news aggregate provides links to news about each individual presidential candidate, as well as related issues such as the economy, immigration, jobs and unemployment, and national security. Resources can be filtered for news and videos, as well as a Trends Dashboard which depicts which candidates people are searching for, watching, and reading about online. The election coverage also includes sidebar links to a 2012 Political Calendar that tracks the whereabouts of all the presidential candidates and other key events. Perhaps an even more interesting resource is the On the Ground links to video news coverage, analysis, and interviews of candidates at the various campaign stumps across the country. This is similar to Google’s YouTube Politics, which presents the Top 5 political videos from week to week. For related online news coverage of the campaign season, the Washington Post released @mentionmachine which monitors Twitter for political candidates mentions and trends. Explore more about: Google, Google Trends, Politics, Web Trends.